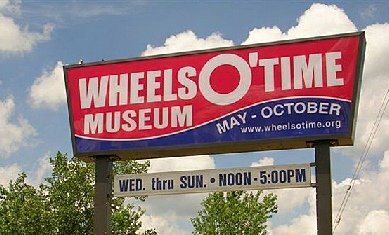 Special attractions include: Music by Dave Berchtold, blacksmithing demonstration, steam engines, antique fire trucks, ambulance tours by AMT, and much more. The museum has 5 buildings with 30,000 sq. ft. of exhibits including RG Letourneau Steel House, antique cars, Rock Island Steam locomotive, combine car, caboose, River & Rails, Cat tractors, fire trucks, large model planes, clock room, music room, WMBD radio station, farm equipment, fashion, toys, model trains, Early Ford V8 Club display and many hands on displays. Something for all ages….$7 adults and $3.50 ages 3 to 11.